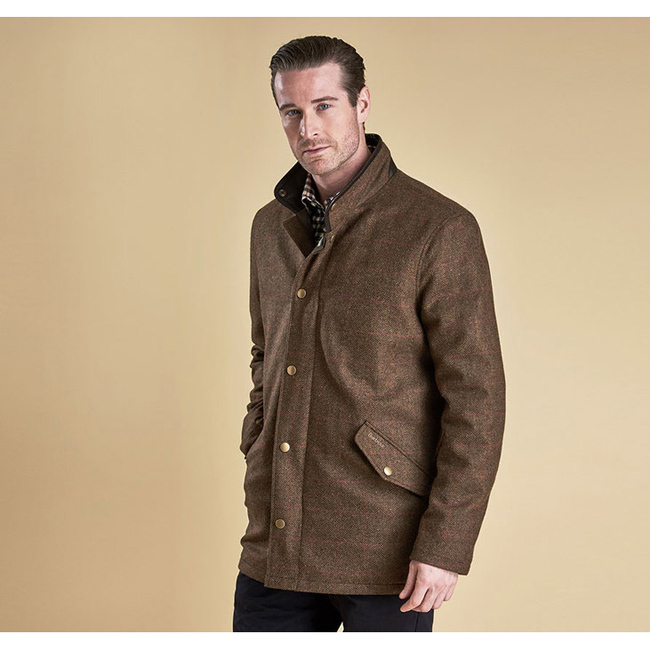 This men's wool tweed jacket is smart and warm. Luxurious leather trims the inner collar and half-moon collar stand, while rear adjuster tabs help accommodate extra layers. Studded flap pockets and a zipped security pocket add everyday practicality.